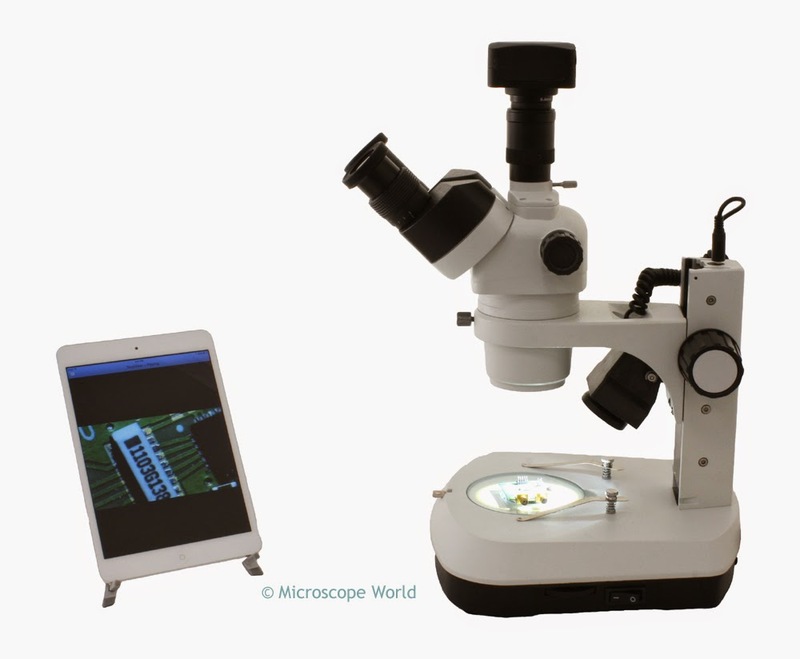 Microscope World is excited to introduce our newest Industrial iPad Microscope system. 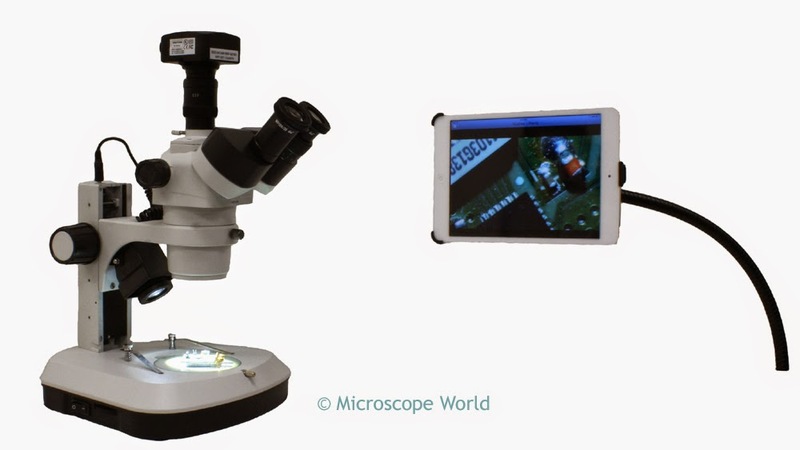 This stereo zoom microscope has 7x - 46x continuous zoom magnification and is outfitted with a WiFi camera that provides a live image directly to the iPad. Images can be captured and saved on the iPad, and adjustments can be made to color, exposure, and gain. The iPad stereo zoom system is available with two different iPad stand options. 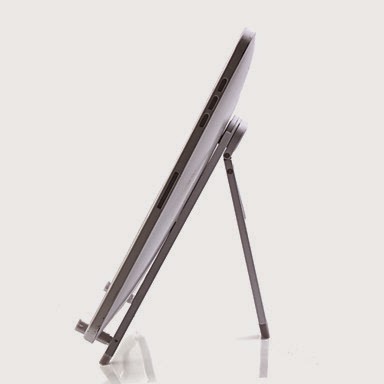 A stand that clamps to the table and is flexible for positioning the iPad right at eye level near the microscope is available. The alternate stand available is a small metal table stand that can hold the iPad near the microscope, or a bit further away from the working area. If you already have an iPad and would like to use a microscope system with your iPad email us or call us at 800-942-0528 and we would be happy to help you!